You could be feeding for charity, religious reasons, for fun or just because others are doing so; whatever your reason may be, it’s completely your call! 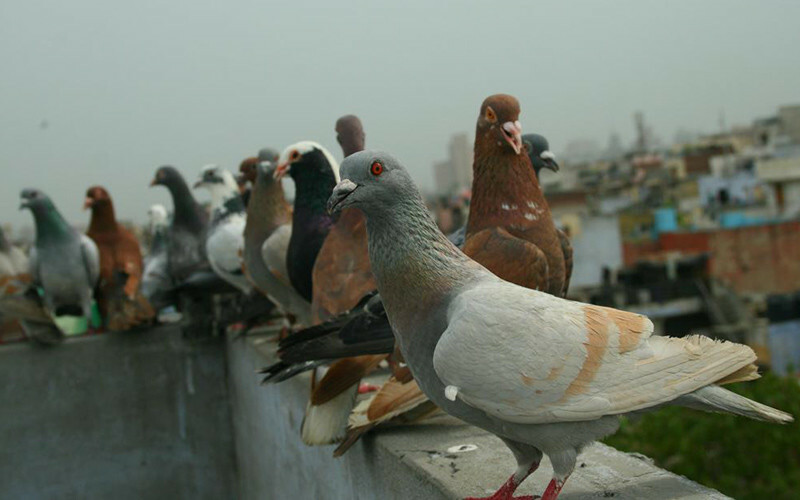 The endearing sight of pigeons pecking on grains strewn at earmarked spots in Delhi such as pavements, concrete slabs and triangular islands on roads etc amidst honking traffic and the hustle-bustle of the city forms a part of Delhi’s cityscape from dawn to dusk. Early morning walkers, commuters on any given day pour water in the earthen vessels thus placed and scatter pigeon-feed. 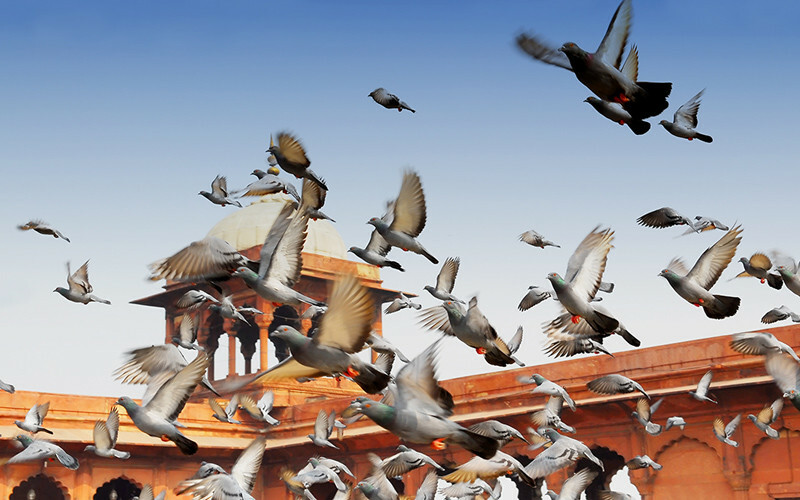 For the pigeon-loving Dilli Wallas, it’s very much a part of their daily chores. Both, the feeders and the fed, show up with unfailing regularity. Over the years, numerous feeding spots have mushroomed across the length and breadth of Delhi and almost all the hotspots are accessible by Metro. The walled city hosts popular feeding roundabouts around Chandni Chowk, Mori Gate & Kashmiri Gate. 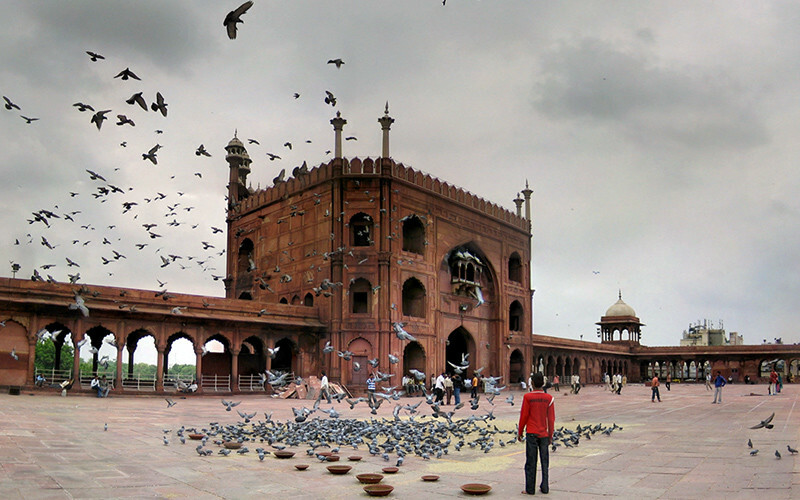 Jama Masjid has a section of its courtyard allocated for this daily ritual. For the pigeon enthusiasts it carries a past-era charm. 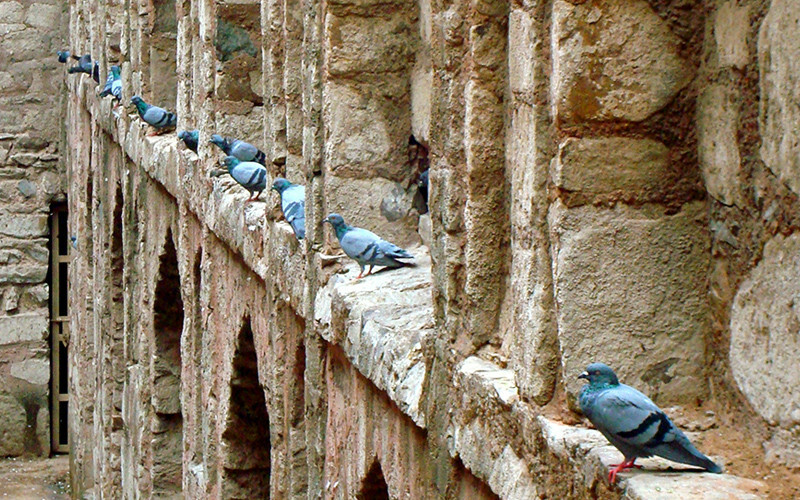 Agrasen ki Baoli is home to many pigeons nested there along with a host of bats. Congested Paharganj, Moti Nagar & Old Seelampur across Yamuna do not deter these birds from mixing with the crowds. Ho Chi Minh Marg, the busy junction always has a herd of pigeons making their presence felt here. The Inner Circle of CP, India Gate, Chanakyapuri & Patel Chowk near the Parliament form the hub of Delhi and are thronged by locals and tourists alike. Also local markets such as Basant Lok are also spots for pigeon feeding. These swift and smart birds are blessed with navigational expertise, have an exceptional memory for topographical details and excellent hearing and vision. They are adept at conceptualizing knowledge of human transport routes and swarm around the same spots with unique acumen. Perched precariously on domes, minarets, TV antennas, atop ACs, window sills & housetops, the airborne hierarchy swoop down in flocks to partake of their food irrespective of their dining area and it doesn&apos;t necessarily have to be ‘fine dining’. It’s impressive to see no pushing, jostling or stampeding. The mixed bunch, be it the greedy, naughty or lazy all follow order in chaos and get their fill in harmony. They may overeat but there’s little chance of any of them going hungry. The enterprising locals of Delhi have also set up shops selling bajra, makka, maize, wheat, gram, pulses, seeds, legumes around the hotspots. These feathered pals are truly spoilt for choice. An interesting tale associated with the Moghul era goes something like this: Once, Jahangir was ailing and a ‘Faqir’ advised King Akbar to fill up the prince’s room with pigeons for him to recover. Interestingly, Jahangir not only recovered but pigeons became his constant companion thereon. Pigeon-feeding is also considered an act of charity as homage to the Last Emperor, Bahadur Shah Zafar. It&apos;s therapeutic; does not burn a hole in your pocket and is absolutely delightful. So, what are you waiting for! Go and indulge in the simple pleasures of life.